Most of us are at least passingly familiar with the theory: the completion of a new tallest skyscraper presages a market crash. Over-exuberant construction reflects over-exuberant markets, and over-confidence often spills over as the hyper-bullish slowly (and then quickly) realise that the good times are over. Where else but China? As if that country didn’t already have enough empty buildings, enough empty office space, enough empty homes, and enough grey uninspired architecture. And it’s not like Changsha — the relatively-sparsely populated city where the thing is to be built — is running out of countryside to expand into. 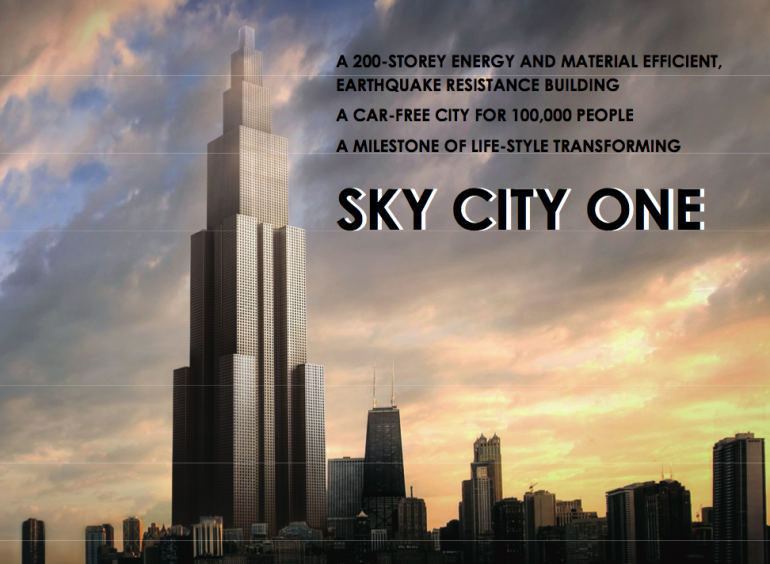 Sky City One is planned to be prefabricated and built onsite, to a timeframe of just ninety days (that will instil confidence that the building won’t spontaneously collapse, right?) 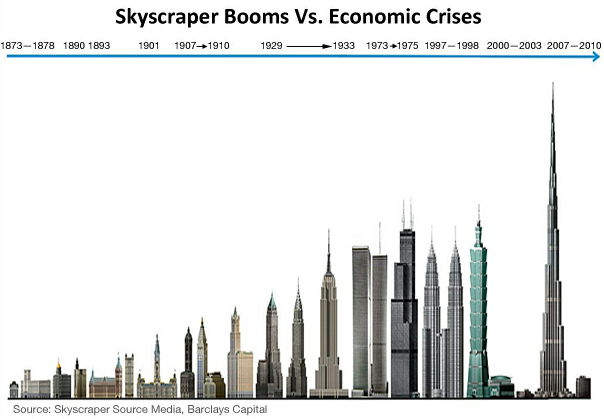 and at a much lower cost than the current titleholder (which of course presaged the 2008 crash, and bankrupted its builders) the Burj Khalifa. “A milestone of life-style transforming” sounds about right (they have enough money to build a 200 storey building, but not enough to pay for good English translation?). The world will be a very different place after the next crash. Not so good news for property speculators who are sure to dump money into what will soon be little better than a tax liability. But good news for Jim Chanos, and every other investor determined to short everything Chinese.